In yet another health care fraud case involving Dallas-based hospital owner/operator, Tenet Healthcare Corp., the company announced it has agreed to pay the United States $513.8 million to resolve long-running civil and criminal allegations that it paid illegal kickbacks for referrals of pregnant, undocumented Hispanic women. Former hospital chief financial officer, Ralph Williams, filed the 2009 whistleblower claim (qui tam lawsuit) that led to the government investigation. He was fired that same year. If you think you’ve heard this story before, you probably have. Tenet Healthcare is a serial offender with a reprehensible history of alleged health care fraud. The company has twice set the record for largest hospital fraud settlements. In 1994, Tenet paid $380 million in the U.S. Justice Department’s largest settlement in history at that time. Tenet Healthcare again set a record in 2006, paying $900 million after allegedly stealing double that amount from government health care programs. Despite continued litigation, over $2.4 billion in settlement payments and continuous corporate integrity agreements, Tenet continues to concoct new schemes to pillage our nation’s taxpayer-funded health care programs according to the litigation filings. Tenet’s latest takedown stems from a 2009 whistleblower lawsuit filed in Athens, Georgia District Court by former Health Management Associates Inc. (HMA) chief financial officer, Ralph Williams, after stumbling across the alleged kickback scheme. According to the complaint, Williams discovered an agreement between Tenet and a Georgia obstetric clinic, Clinica de la Mama, in which Tenet agreed to pay Clinica $20,000 per month for 24/7 Spanish translation services. Williams alleged the agreement for translation services was a sham to cover up what Tenet was actually purchasing - patient referrals from Clinica. Purchasing patient referrals is a violation of the federal Anti-Kickback Statute. 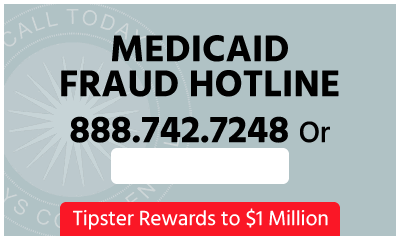 The Anti-Kickback Statute prohibits the exchange (or offer to exchange) of anything of value in an effort to induce or reward the referral of items or services covered by Medicaid, Medicare or other government-funded health care programs. The Statute acts to ensure health care professionals base their medical decisions on patient need and not financial gain. In early 2014, the Justice Department joined Williams’ whistleblower suit, alleging the defendants - Tenet Healthcare, four Tenet hospitals and a Georgia HMA hospital - paid kickbacks to Clinica between 2000 and 2013 in return for Clinica’s agreement to send pregnant women to their facilities for deliveries. Tenet used the slogan “We care about your health, not your immigration status,” to recruit the expecting, undocumented women. The majority of patients at Clinica are pregnant, illegal immigrants. Their undocumented status makes them ineligible for coverage by Medicaid. However, Medicaid does reimburse hospitals for “emergency services” provided for undocumented immigrants. Tenet argued that because Medicaid considers childbirth an “emergency service,” the undocumented women were eligible for reimbursement. 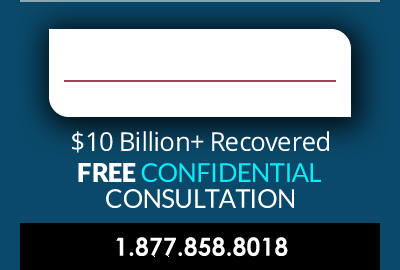 Federal and state False Claims Acts (FCA) allow private citizens with knowledge of fraud to sue on behalf of the government and share between 10% and 30% of any government recovery. In June 2015, whistleblower Williams was awarded $119,031 of the $595,155 HMA paid to settle kickback allegations with the U.S. government. Tenet chose not to settle at that time. Under the current agreement in principle, Tenet will pay nearly $145.8 million in criminal penalties and $368 million in civil restitution. Two Tenet subsidiaries plead guilty to one count of conspiracy to violate the federal anti-kickback statute and defraud the United States. 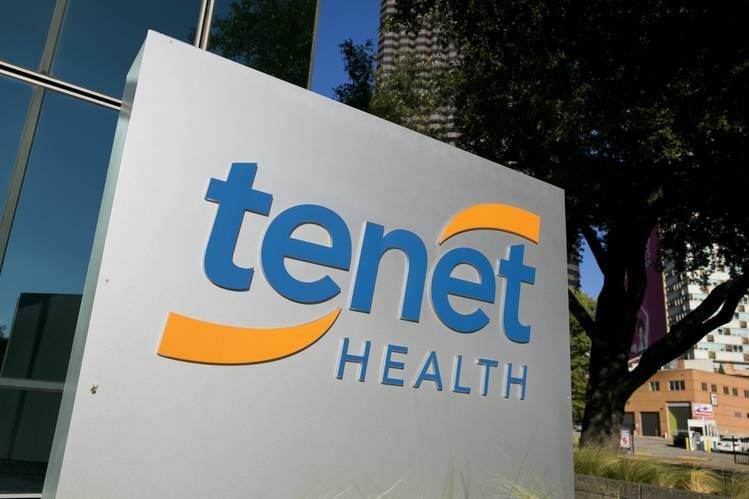 Tenet has also entered into a three-year corporate integrity agreement with the U.S. Department of Health and Human Services. Corporate integrity agreements are old hat for Tenet. Hopefully, the third time’s a charm. The agreements appoint a compliance committee to develop written standards and policies, conduct annual reviews, implement a comprehensive employee-training program and establish a confidential disclosure program. The agreements normally last five years. In this case, Tenet gets three years. The next step is exclusion from participation in government funded health care programs like Medicare and Medicaid. Being that this is Tenet’s third mandated corporate integrity agreement, exclusion is just around the corner. But should the company have been given this many second chances when it continues to blatantly rob our nation’s health care programs of billions of dollars? Take a look at Tenet’s abysmal history and decide for yourself. In 1994, Tenet (then National Medical Enterprises (NME)) paid the U.S. and 28 states a record $380 million in criminal fines, civil damages and penalties and entered federal guilty pleas on eight criminal counts for kickbacks and health care fraud. It was the U.S. Justice Department’s largest settlement to date. The government alleged that NME psychiatric and substance abuse hospitals across 30 states admitted and treated patients unnecessarily, kept patients longer than necessary, billed for services not rendered and billed for non-reimbursable expenses – including payments for physician referrals. The company entered a five-year corporate integrity agreement with the U.S. Department of Health and Human Services. In 2003, the government investigated a Tenet-owned hospital for performing unnecessary heart surgeries on more than 600 patients. Tenet agreed to pay $54 million to resolve the accusations, becoming the largest settlement involving medical necessity fraud.In 2004, Tenet paid an additional $395 million to 769 patients to settle the unnecessary surgery accusations. Stephen Klaidman based his 2008 medical thriller, Coronary: A True Story of Medicine Gone Awry, on the Tenet outrage. In 2006, Tenet agreed to pay the U.S. over $900 million to resolve allegations of upcoding, inflating charges in excess of costs associated with patient care, billing for services and supplies not provided, paying kickbacks for patient referrals, and billing for services ordered by physicians with whom Tenet had improper financial relationships. The company entered into yet another five-year corporate integrity agreement. The Department of Justice based the settlement amount “on the company’s ability to pay,” - a nice way of saying Tenet thieved more than the $900 million paid in the settlement. In 2006, Tenet agreed to pay $21 million to settle a long-running criminal case that went to trial twice - both times leading to a deadlocked jury. From 1992 to 2002, a San Diego Tenet hospital allegedly paid over $10 million in illegal kickbacks disguised as physician relocation fees. Much of the money never went to physician relocation or practice establishment. Instead, physicians allegedly pocketed the cash in exchange for patient referrals. As part of the settlement, Tenet agreed to sell or close the San Diego hospital. In 2012, Tenet agreed to pay $42.75 million to resolve allegations that Tenet-owned inpatient rehabilitation facilities (IRFs) billed Medicare for patient stays that did not meet standards to qualify for IRF admission. IRFs provide intense rehabilitation programs for patients who require a multidisciplinary, coordinated team approach. As IRF patients require intensive therapy and closer medical supervision, Medicare pays IRFs at a higher rehabilitation care rate than it pays in other settings. Because Tenet billed Medicare IRF rates for IRF ineligible patients, the billings constituted false claims and were in violation of federal and state False Claims Acts. The settlement surfaced out of the 2006 corporate integrity agreement as the false claims involved IRF patient services provided from 2005 to 2007. In 2014, Tenet paid $5 million to settle a Florida whistleblower lawsuit alleging that Tenet paid kickbacks to physicians by leasing offices at below-market rates in exchange for patient referrals. According to the suit, Tenet earned over $11,000 in net revenue for every patient admission. Meanwhile, physicians gained thousands from the leases. In 2015, five Tenet hospitals agreed to pay a total of $2.2 million to resolve allegations they submitted false claims to Medicare for minimally-invasive kyphoplasty procedures used to treat spinal fractures resulting from osteoporosis. In most cases, the procedures are outpatient, with no need for inpatient admission. Tenet allegedly billed Medicare for kyphoplasty on a more costly inpatient basis to increase Medicare billings. What amount of fraud and deception will trigger Tenet’s exclusion from participation in the Medicare program? After more than 20 years of fraud and 13 years of corporate integrity agreements, we can only hope the government soon wipes Tenet off the nation’s Medicare provider map. Meanwhile, Tenet continues to rake up health care costs for everyone and steal valuable taxpayer dollars from children, adults and elderly in need of affordable health care.